Happy almost Thanksgiving! The day on which we hopefully realize how much we do actually have in our lives and to whom we owe them. For me, it’s God, always and forever, and I’m amazed he gets me out of the messes I make — and I make a lot. Syfy’s Haven: So, so good! Give it a try on Netflix if you haven’t checked it out yet. I will be back next week with more thoughts on Season 5. Book recommend: Station Eleven by Emily St. John Mandel is a wonderful read full of thoughtful moments and a new angle on the pandemic-ending-civilization storyline. I’m enjoying it so much, I don’t want to finish it because then it would be over. The Five Fingers: Ok, I said I was going to review this K-drama, but getting to episode five ending up being torture — too much soap opera and not enough interesting and/or funny drama. Plus, I couldn’t take anymore kid crying. It started to make my ears ring. I love that it’s about piano prodigy brothers, and maybe I’ll give it a shot again sometime, but this just wasn’t for me. CW’s Reign: Wow. Love it. Addicting guilty pleasure starring Adelaide Kane and the awesome Megan Follows (Anne of Green Gables). It loosely (and I stress loosely) follows the story of Mary Queen of Scots. The costumes are Renaissance Fair cool and the music is contemporary. The content is rather adult, especially for younger viewers, but it’s a compelling story of a girl learning how to rule as a queen, with all of the responsibilities and heartbreaking choices it entails. Lately, I’ve been on a Jane Austen fan fiction kick. Austenland was an entertaining movie and great book, so I decided to check out the BBC version of P.D. James’s Death Comes to Pemberly. Death Comes to Pemberley has good and bad about it. The good: Matthew Goode is the perfect Wickham and I wish we could go back in time a few years and have him play Wickham in the Keira Knightley version. I also enjoyed Lydia and Mr. and Mrs. Bennett. All four of these characters seemed more or less as if they’d walked off of the pages of P&P. Also good, the mystery itself proved layered and intriguing, and the characters, like Sir Hardcastle (Trevor Eve, who looks eerily like Ben Franklin in this role), lawyer Henry Galveston (James Norton of Happy Valley), and Louisa Bidwell (Nichola Burley) were great additions to the P&P world. Mr. Darcy, played by Matthew Rhys seemed more or less himself, except perhaps a bit too severe in manner considering he’s been married to the love of his life for a few years now. The bad: Elizabeth Darcy. Anna Maxwell Martin (Becoming Jane, North & South, The Bletchley Circle) is a stellar actress, and perfect for most period films and shows. As Elizabeth Darcy née Bennett, however, she is outright miscast, not only in looks, but also in manner. Everyone pictures characters differently in their heads, but I never once thought of any of the Bennetts as being especially skinny. They like good food, parties, balls, and sit for hours on end reading, sewing, etc. A plump or healthy looking Elizabeth with rosy cheeks, and a face that draws the attention from everyone else in the room would make more sense. Mr. Bennett married his silly wife because she had great looks, and everything in P&P insinuates that all of the girls, especially Jane, Elizabeth, and Lydia (and perhaps excepting Mary) inherited those same good looks. Martin is good looking in her own right, but is by no means an Elizabeth Bennet/Darcy. One cannot imagine her catching Darcy’s eye at all. Besides that, her Elizabeth looks tired all the time and as if she has lost her enjoyment in life, has almost no wit to speak of, and no sense of style when it comes to dress. This was such a glaring casting (and costuming) error, I have to wonder what the casting director and producers were thinking. A better choice, though maybe not as well known, would have been Daniela Denbe-Ashe of the wonderful North & South (book by Elizabeth Gaskell), as suggested by an imdb.com user (I love reading the message boards on that site). She has the right looks and also the right manner of someone who is unused to hardship, going by her great performance as Margaret Hale in North & South, which holds many similarities to Pride and Prejudice. Being fan fiction, the Death Comes to Pemberley as a whole is not “Austen.” Not that murder should ever be taken lightly, but it is possible to tell a light-hearted murder mystery, which would have suited this flattery to the classical author much better. The whole love of Austen’s books has not much to do with how realistically she described the dirtiness or suffering of the times in which she lived, but her comic wit and spot on characters who are situated specifically in an upper class sort of life that doesn’t dive down into the mud. Austen specifically chose to write this way, and refers to harsher realities only obliquely. Making the stories “real” and in general depressing, is the key mistake that most Austen fan fiction writers make. Jane Austen’s stories, although holding many truths, are light-hearted, generally follow and poke fun at Regency life, and are marked first and foremost by her amazing wit, and beyond that, her brevity. The characters are never in any real danger, except of being lost to “good” society. 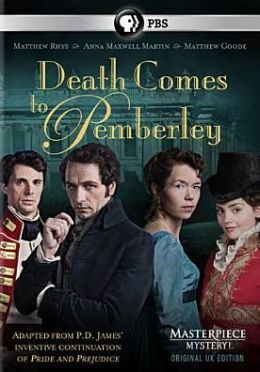 The miniseries was an improvement upon the actual Death Comes to Pemberly book by P.D. James, whose long-windedness and misunderstanding of Austen’s appeal made it impossible for me to get through even a chapter. 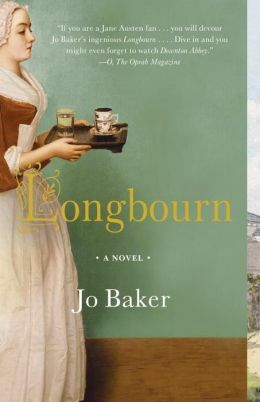 Longbourn by Jo Baker. Much of the same criticisms I have for P.D. James hold true for this work as well. The novel started out promising, P&P told from the viewpoint of the servants, but all too quickly the long descriptions begin to wear, as do the unnecessary knife digs at the family whom the servants serve. In our modern eyes, servanthood appears to be a great evil, and this is continually the thrust of Baker’s tale. Her assumption is that the servants are unhappy with their work and station in life. Cataloguing the woes and difficulties of being a Regency era servant could be an interesting tale, it’s just something that doesn’t jive with the original P&P story, and has more the effect of a long diatribe trying to make modern readers feel guilty for past so-called sins of their ancestors. Longbourn revels in dirt, mud, chamber pots, and pages of description that bog the story down and you only remember it’s the story of P&P when Baker remembers to mention the girls’ soiled menstrual cloths. Where is the delight that Jane Austen took in the world despite the troubles in it? Where is her wit, her brevity, her wonderfully drawn characters who are happily and comically flawed? It is as if Baker were plagued with Dorothea Brooke-itis from Middlemarch (by George Eliot), wherein she considers suffering of the lower classes to be the only virtue and the only thing worth remedying, and that enjoying life (like the Bennetts generally do) is somehow a sin, as is poking fun at ridiculous characters, like Mr. Collins, when they are behaving both ridiculously and rudely. In this sense, Longbourn is no compliment to Austen, but a backhanded slap. So what if Austen didn’t regale us on the suffering (debatable) servant class or other classes? It doesn’t follow that she had no sympathy for their various plights, or that her own class was free of worry or trouble in the world. Everyone suffers in this world, no matter their station. The character of a person, their outlook on life, their faith, their hope, what they love, all contribute to their happiness in the world. Some people are never happy no matter their station, and some are ecstatic in whatever sphere they find themselves. We don’t have to, like Dorothea Brooke, feel guilty about enjoying where we are in life, even if we are middle or upper class. We don’t have to, like Hermione Granger of Harry Potter, interfere on behalf of lower classes that may actually not want our help, classes that may actually enjoy their station in life and resent our good intentions. This is the “people’s history” of Pride and Prejudice, in which we are scolded for enjoying any frivolous pursuits, especially novels of humor, wit, and a love story where the main characters end up happy and (shock) do not consider daily their dear, saintly suffering servants. I gave up on this book about halfway through. Had it been a book apart from P&P, I think I still wouldn’t have finished it, mostly due to the too-long descriptions. There is a saying that “brevity is the soul of wit,” and this is so true when considering Austen’s works. Emma is the longest novel, but they all are rather short compared with modern doorstop tomes. Describing things in detail for pages on end isn’t necessarily good writing, and most certainly not good storytelling. I, too, am plagued with purple prose from time to time and it is a difficult vice to shake. One thing I will say for Baker: what a great idea for a fan fic, and refreshing compared to other works that feature the main P&P characters, but botch them abominably. Her attitude towards the Bennetts in this book is a bit mean spirited, but she managed to portray them more or less accurately. On another note, I am super excited for the BBC presentation of Pride & Prejudice and Zombies! It’s fan fiction as well, but the book kept up a spirit of lightheartedness and fun throughout, despite the rotting flesh descriptions and wounds that made me too ill to my stomach to continue beyond Elizabeth’s ninja attack on Mr. Darcy. Visually, my stomach isn’t quite so queasy and I think this flattery to Austen might be the most complimentary yet. Dwight! Ok, ok, I did miss you! This was a great episode for Dwight, a little flirtation with the CDC lady, and also one of the best lines, ever: Got a new crossbow! The line was said to recurring character Chris Brody (Jason Priestly), who has the one of the most comedic Troubles: everyone who looks at him thinks he’s awesome. Both his reactions to this charm and the reactions of people charmed by him are hilarious. Brody’s world-weary abruptness has comedic timing and the shameless flirtation of both men and women smitten by him reveal cute, willing to please desires. Fortunately, Brody is not evil enough to take advantage of everyone around him, or he would be Haven’s and the world’s biggest threat. Nathan and Audrey: Silly socks and adorableness abound. I like them together, but like them most when they are solving Troubles together. And they deal with two really weird Troubles: One involving a dancing bear costume with a dead man inside, a bear costume that multiplies, the second, a Trouble affecting the Troubled, giving them a sickness and bubbly lips, and activating their Trouble powers. Gloria and her sharp wit and dry humor are also back in this episode. Laura Mennell (Alphas – a great show that unfortunately got cancelled) does well as CDC doctor Charlotte Cross, and I look forward to her continued presence and interactions with Dwight on the show. Duke and Mara: Steamy flirting in a scene reminiscent of Audrey’s first meeting with Duke. Mara’s manipulation of Duke’s loyalty to his friends seems to be working, but he’s a poker player, so he might just be pretending to get her to trust him. Mara needs to get off the boat soon, because her prisoner status is starting to get a bit tedious. Her idea of Audrey’s identity is interesting, that she is nothing more than a husk. Mara seems to consider herself Audrey’s maker, as well. Overall Arc: The Troubled have genetic markers? !!! X-Men ahoy! Joking aside, the markers will likely be the way they figure out how the Troubles were made and/or the origins of the Thinny world. Maybe the markers all contain Mara’s DNA. The cliffhanger ending shows the alignment of Duke and Mara, and the sad realization that Duke is still not quite one of the Scooby gang. He is on the outside now, not because of his wrong-side-of-the-law past, but because he’s a Pandora’s Box of Troubles waiting to spill over into the streets of Haven. Plus, Sasquatch taser’s him! Dwight claims he’s for doing what’s best for the town, while Duke and Nathan are focused on themselves. Time will tell if that’s true or not. Dwight’s attraction to Charlotte might cloudy his thinking, and what if she isn’t who she says she is? Maybe she has an ulterior motive to be in Haven? “Exposure” was more or less a typical Haven episode. The fixing of the “ghost” trouble wasn’t super surprising, as it was obvious that the photographer was responsible. Her not-actually-dead-fiancee-now-turned-murderer was a bit creepy, and a testament to the real reason people fear change. Traumatic changes often either bring out the very best or the very worst in a person, and for many of us, well, we’d rather not know how what kind of a person we’d become (or actually are). Vince and Dave Teagues were the best part of the episode. It was great to see them try to talk their way out of a tricky situation, and even funnier to think of them performing similar shenanigans throughout the years to prevent the greater world from hearing about the Troubles of Haven. I’m guessing Dave’s leg infection will feature prominently in the near future. Mara/Audrey: Is it awful that I now find Audrey boring? Time will tell if Audrey is actually, well, Audrey, and not just a shadow of her, but short-term Mara is far more intriguing simply because of all she knows. Speaking of things she knows: Woohoo! A partial explanation for how she and Audrey became separated! Again, it’s not terribly specific, but Mara knows that Duke chose to separate the two entities instead of having Audrey take over Mara’s body. What’s Duke’s motivation here? Likely, it has something to do with wanting to rid himself and his family of the Troubles. Hopefully, it’s not amorous, though he may try to manipulate Mara in that capacity (or vice versa). He also is still dealing with the fact of Jennifer’s death, and this may be affecting his judgement. In addition, we learned through Mara that Duke’s mother may be important to the overall Trouble arc and more backstory about Duke. As things stand, Duke and the Teague brothers may be the ones to power through and figure out what everything means. Nathan and Audrey, while helping, are so focused on each other that it risks making the characters irrelevant to the larger arc. I’m sure, though, that the writers will get them back on track if not in Episode 9, then 10. Audrey in particular won’t rest until she finds out who or what she actually is, and who or what Mara is. Dwight was not present this episode, and I’m sorry to say I didn’t even miss him. As much as I like his character, his relevancy (like the Guard’s) is floundering. Gloria was not in this episode either, but her character is even more minor than Dwight’s, so it doesn’t bother me as much if I don’t miss her. Who I do miss (sorry to harp on this) is Audrey being Audrey again, and I do so hope that the next few episodes will fix that, as I don’t want her identity to simply now be as a couple with Nathan. As much as I like a good love story, Haven is not first and foremost a love story. It’s a science fiction mystery, and Audrey’s journey to understand her identity is the biggest part of that. Awhile ago I wrote three posts entitled “The Next Harry Potter” with suggestions of possible book series that could fit the bill, so to squawk – I mean speak. For volunteering at the Minneapolis Book Festival this past October, I received a number of free books, many signed by the author. One of those was Gabriel Finley & the Raven’s Riddle, the first book in (I hope) a series, that like Harry Potter has the titular figure trying to make his way in a new and strange magical world. Gabriel Finley is an orphaned boy much like other boys in children’s stories. He lives with an eccentric aunt and doesn’t really know what happened to his parents. That all changes when one day he discovers he can talk to ravens, and that he and ravens share a common love of riddles. The book takes readers to a magical world involving ravens, riddles, puns, and a powerful, elusive necklace called a torc. It may be a bit gruesome in parts for younger readers, but on the whole is a fun story in which kids learn to work together to solve the case and to understand one another. It’s also a great Halloween tale with several riddles for readers to solve throughout the book. It reminds me a little of Harry Potter, The Mysterious Benedict Society, The Lord of the Rings, and Narnia. It also has a few odes to Alice in Wonderland. My favorite element in the tale was a raven-clawed writing desk that likes to dance and disguise itself in people clothes. The story is unique in its affection for word puzzles as well as birds. I do hope there will be a sequel of some kind, as there are many hints that birds aren’t the only magical creatures around in this world. It’s authored by George Hagen and you can find more information about the story at gabrielfinley.com.